Discussion in 'MacBook' started by comda, Jul 10, 2014. I was thinking a 240Gb SSD.. and installing mountain lion through ML post factor. Good idea? Will it run smooth and keep up? I mainly want to use the computer for what im currently using it.. Office, the web, itunes, some imovie, photoshop adobe Ai, and obviously dual boot with my Windows 7 HP..
For a battery.. Apple has new OEMs for $129.99 or i can go with one my shop is offering for $65.. is it worth to pay for the OEM model really? I think you have a pretty decent machine. 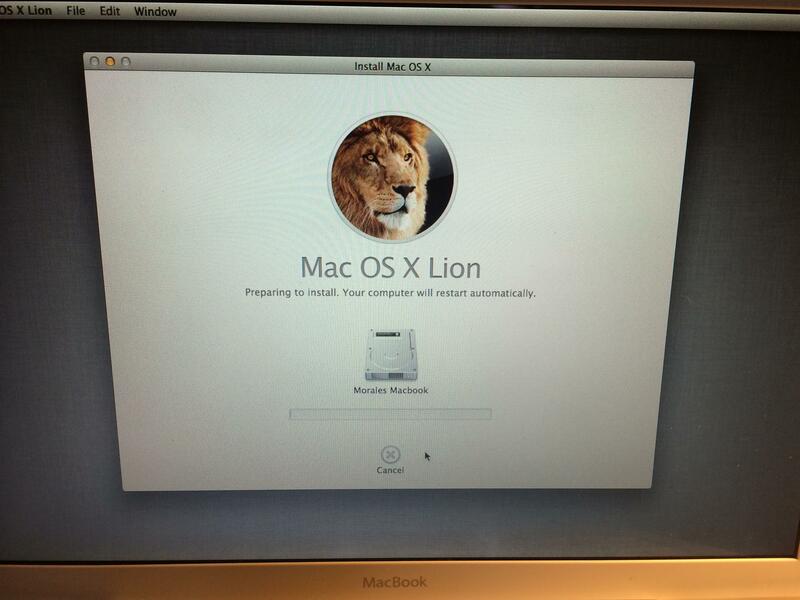 Just install a SSD, upgrade it to Lion and enjoy. Your computer supports up to 6GB of RAM, but I think you'll lose dual channel decreasing your internal graphics performance. Snow Leopard is still pretty good too, unless you need some app which has Lion as a minimum requirement. Alright sweet. but isnt Lion kinda slow? i wanted to try mountain lion using the Ml post factor hack on it. what do you think ML post Factor Users? will it keep up? Go with the $65 battery from your shop as those generally seem to work fine. Hell you could get two for almost the same price and then you'd have a fully functional spare and a partially functional spare. Just my thoughts. With all of those upgrades your system will feel like new. ok. but isnt the apple battery better? And whats wrong with a Kingston SSD? I want the most speed i can get out of this little thing. I love it and want to keep using it. If it has a SATA-I bus, you won't get any higher speeds than around 160MB/s. I wouldn't invest in a high-end SSD since even a cheap SATA-III PNY XLR8 is capable of using the entire SATA-I bandwidth. About Kingston: it's not the most battery-saving one, while it's usually as expensive as way better SSDs. Also, it uses a SandForce controller which is not an unanimous choice in terms of reliability (the PNY also uses Sandforce if I'm not wrong). So prefer you'll better prefer a Samsung 840 EVO or a Crucial MX/M500/M550 series. And what's the most power efficient SSD with SATA-II? 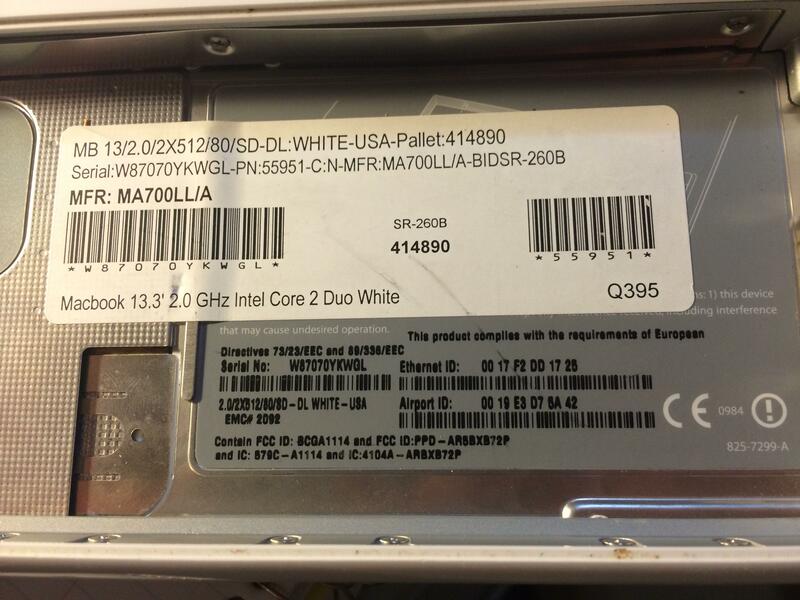 I have an Intel 320 SSD from roughly 2 years ago on my early '08 black macbook, 4GB of RAM and a cheap battery from where I am now (China). Battery costs 25USD. Works perfect, I get around 4 hours per charge on normal use case. I'm doing a similar upgrade with a hiccup. I'm doing the same kinds of upgrades to the memory and storage in an older MacBook and am now having trouble with the install. It gets hung up / frozen on the "Preparing to install" screen. I'm not sure if I should be posting this as a standalone or picking the brains of those I know have gone through this sort of upgrade. So, I guess this is a multi-part question. The original hard drive has long been dead and I'm basically working from scratch. I purchased OSX Lion online and then, using an 8g thumb drive, created a bootable USB for the install. The new SSD was formatted with a GUID partition using an external enclosure and my iMac. I chose Lion because I read that it will recognize the 4g of ram I installed. Is my problem the OS, the SSD, the MB itself, or the memory? I tried reformatting the drive and digging around online for solutions, but maybe I'm not using the right search words. 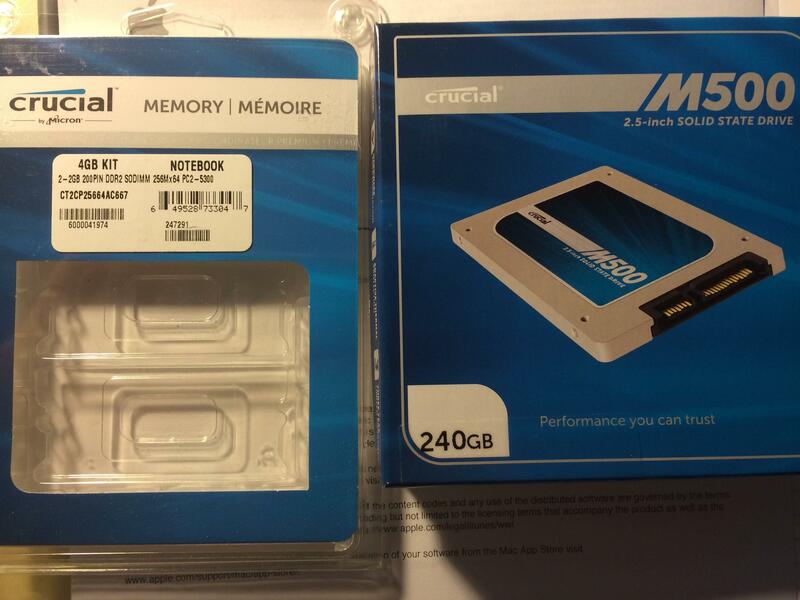 A different forum suggested the SSD is incompatible (Crucial has told me this SSD is compatible with my MB). Others cite Lion being the problem and TRIM being unsupported. Seems the SATA is simply limited to SATA1 and not incompatible. I've read about Lion being successfully installed on other MB here, and, as I understand it, TRIM is something I'll deal with after install. Of course, I'm likely wrong about any part of this. Thanks for the help!